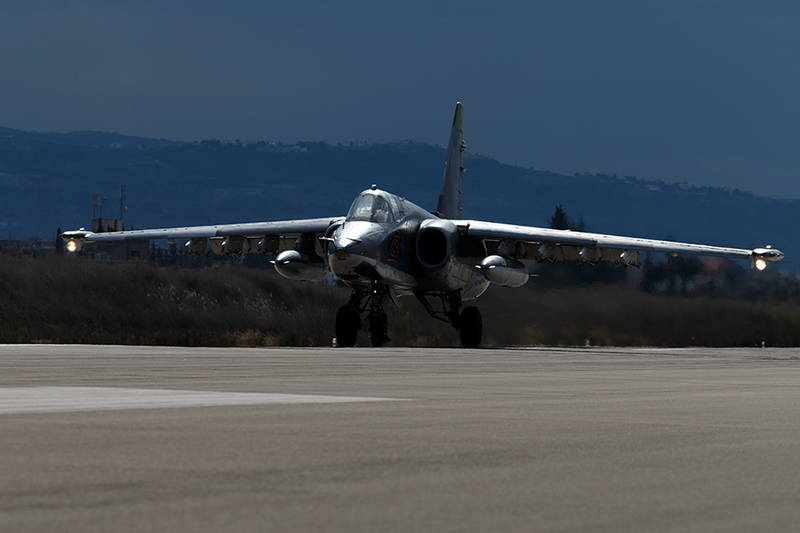 Russia uses Iranian airbase to strike ISIS. Russian Su-34 attack bombers which took off from Iran to strike at Islamic State (banned in Russia) positions in the Syrian province of Deir ez-Zor killed over 150 militants, the press service of the Russian defense ministry said. "Russian bombers Su-34 took off from Hamadan airfield on the territory of the Islamic Republic of Iran to strike at objects of terrorist Islamic State in Deir ez-Zor province. They carried a maximum payload of OFAB-500 fragmentation mines," it said. "The strike destroyed two command posts and major field training camps of terrorists, including foreign mercenaries," the press service said. Air cover to the bombers was provided by Su-35S multipurpose fighter jets from Hmeymim airbase in Syria. "After the combat mission was successfully completed all Russian aircraft returned to their deployment bases," the ministry said.